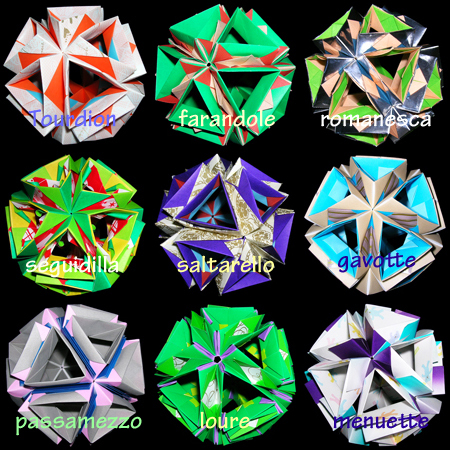 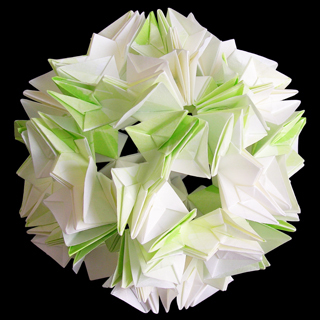 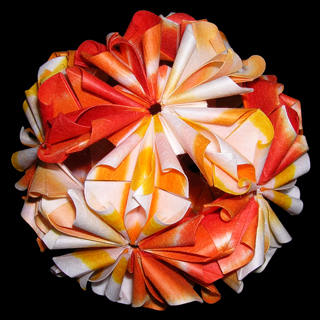 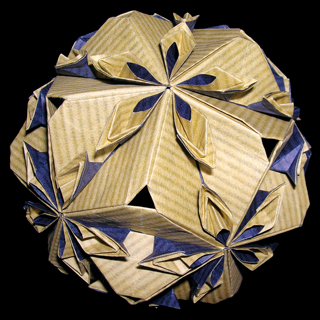 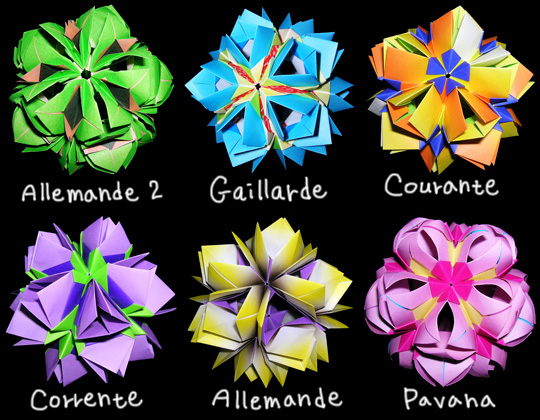 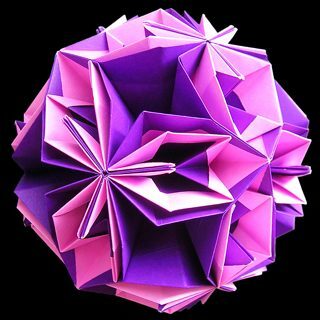 Kusudama suites series is the works folding from the simple shapes. 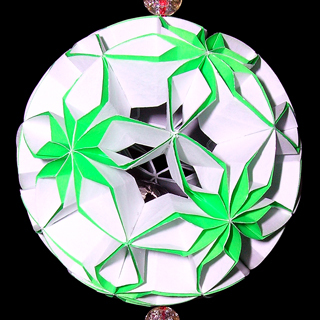 It doesn’t need glue to assemble. 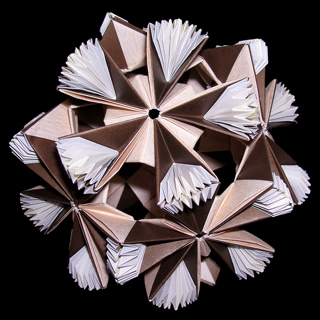 But it needs other units made with paper to assemble.